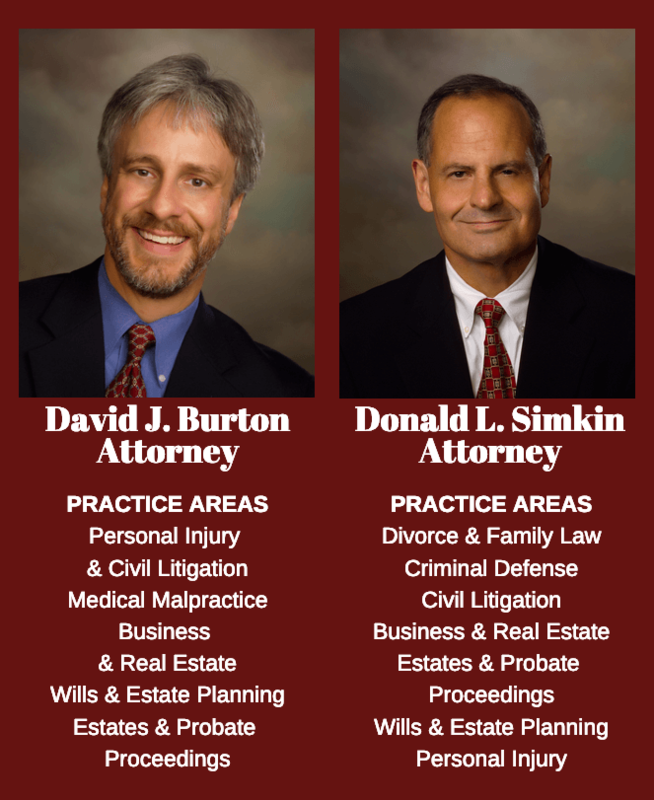 Burton & Simkin Represents Firms in Business Formation, Legal Planning, Employment Issues, Administrative Proceeding, Litigation and Business Succession Planning. Business law is an important area of practice for the Burton & Simkin legal team. We represent small and large businesses, routinely handling common business matters involving contracts and agreements, business relationships, purchase and sale of stocks or assets, leases, record preparation and filing. Contact one of our lawyers to arrange an initial meeting to discuss your new or existing enterprise or any legal issue that confronts you. Liability. Industry guidelines, regulations and more. Make a list of the requirements you envision. What all will you want your lawyer to do for you? Check out the lawyer's reputation and skills. Places to gather references include banks, CPA firms and other lawyers. Ask other businesses in your industry. Be certain your lawyer does not have a conflict of interest. Ask how many business clients the firm has represented. Review trade association and trade publication materials. See if there are ads showcasing legal expertise in your area. Will the lawyer provide an estimate, if possible, of the total fee? Has the lawyer represented others in circumstances similar to yours? Ask other local businesses for their recommendations. Does the lawyer have the time and resources to give you the attention you require?